Alvin and the Chipmunks is a 2007 comedy film directed by Tim Hill. The film was critically panned, but was a major financial success: on a budget of $60 million it made $217 million in North America and $361 million at the box office worldwide, and was the seventh-best selling DVD of 2008, earning over $101 million. Their special voice has become a hot issue and many people all over the world want to talk or sing cutely like them. 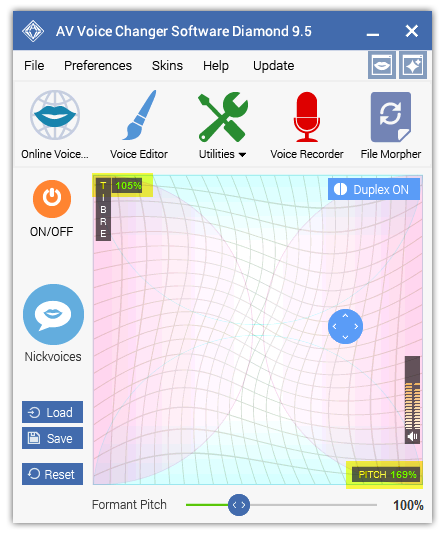 So, this tutorial will guide you on how to create the Chipmunks voice with Voice Changer Software Diamond 9.5 (VCSD 9.5) for your entertainment purpose. On the Main panel, turn On the Voice Morpher module. Move the cursor on the Pitch-Timbre graph (also called the Morpher graph) to change your voice. 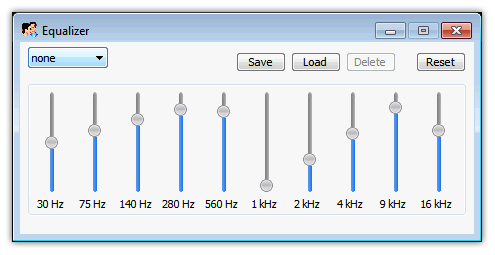 Go to Make-ups button and select Custom to call up the Equalizer dialog box. For instant use, you can download the chipmunk voice preset from this page.